When it comes to the genre of the American gangster film, there's hardly a name more synonymous with the pantheon of greats than Robert De Niro. According to the American Film Institute, the actor is closely associated with the Top 3 gangster films of all time, namely Francis Ford Coppola's "The Godfather" and "The Godfather: Part II", and Martin Scorsese's "Goodfellas". Indeed, this trio of films came to define not just the crime drama in the 1970s and 1990s respectively, but are often brought up as some of the greatest films of all time, period. Criminally overlooked in these discussions however, is another gangster epic from the 1980s that further cemented De Niro's stature in the industry - "Once Upon a Time in America". Directed by Sergio Leone of "spaghetti western" fame, "Once Upon a Time in America" is the story of the rise of David "Noodles" Aaronson (Robert De Niro), a Jewish-American who made his wealth as part of a bootlegging racket during the lucrative Prohibition era. 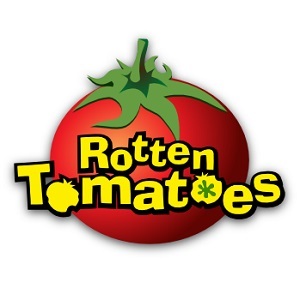 Starting from his younger days as a street rat in 1920s Manhattan, the narrative follows his exploits through flashbacks to formative periods of his life. Along the way, his experiences are inextricably linked to a core group of life-long friends and eventual business partners, as we witness their successes and failures through the many tumultuous years. A true epic in every sense of the word, Leone's episodic approach switches back and forth through past and present as Noodles attempts to evaluate his life. Beset with regret, the film's natural tone is fundamentally sentimental (emphasized by a sweeping score from the legendary Ennio Morricone). From his coming of age in the 1920s, to the height of his power in the 1930s, to his retirement in the 1960s, each epoch ends in an unforgettable tragedy that shapes his character forever. Indeed, an endless cycle of betrayal and revenge drives the narrative. But Leone uniquely stages the violence as almost perfunctory in comparison to his greater interest in the relationships involved, both interpersonal and geographical. Indeed, not only are the nostalgic memories of long lost loves and childhood friends at the forefront, but also the recollection of the places that became home. In this regard, Leone imbues the film with a rich sense of place and time, through gorgeous tableaux of New York landmarks and the lived-in details that can only come from authentic set design. Like the fairytale its title suggests, the film truly transports you. 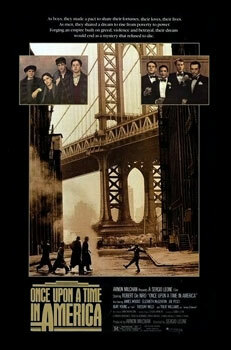 Simply put, "Once Upon a Time in America" is a thoroughly arresting film. Though it clocks in at a potentially overwrought 229 minutes, the scenes instead feel as fleeting as life itself. And at the epicenter of it all is the great Robert De Niro, whose performance is bracingly flawed, brilliantly understated and irresistibly captivating. The same can be said of this under-appreciated classic. No lie, this is one of my top ten movies of all-time. Pacino and James Woods are both fantastic, here. I love Leone's other movies, but thus is his masterpiece. It really is fantastic. I should have mentioned James Woods too, but wanted to keep it concise. Such grand filmmaking.